Our Shabbat Smile is early this week, so you can have time to: consider making some easy, last minute, inclusive changes if you are hosting a seder; or respectfully engage the host, with suggestions for easy, last minute, inclusive changes. This piece on Seder inclusion was written by Dov Hirth, ALEH’s Coordinator of Marketing, Development and Special Projects. While there are so many ‘traditional’ avenues for education and engagement at the Seder, it’s the Haggadah’s description of the Four Sons – in the name of full inclusion, let us say Four Children – that stands out to me as a crucial teachable moment. Rabbi Yisrael Meir Lau, Former Chief Rabbi of Israel, explains that the word ‘echad’ (one) is used when introducing each of the Four Children to show us that every single person around the table is equal to one. Every person, from the ‘wise child’ to the so-called ‘wicked child’ are counted as peers. Every person, regardless of age, gender, background, education or abilities, are considered equal members of the family and the Jewish nation. With these children, it is especially important to follow King Solomon’s brilliant pedagogical philosophy of “Educate each child according to their own way” (Proverbs 22:6). While this often means speaking to a child in his or her own language or providing age appropriate explanations and activities, for children with disabilities, it means planning ahead to make the Seder more accessible and focusing on the things they can do throughout the evening. 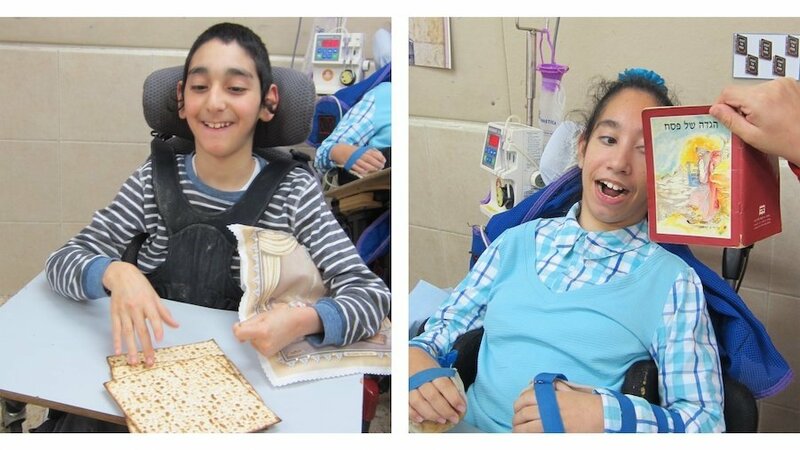 Give children with disabilities a seat of distinction at the table, making it clear to all that they are equal participants in the Seder activities. Wash the hands of the children with disabilities when doing Urchatz, the first opportunity to wash our hands at the Seder – it is a wonderful sensory experience that will make an impact on them. Assist these young participants with the dipping of Karpas (the vegetable ‘appetizer’) in saltwater and in taking drops of grape juice (or wine) out of their goblets when counting the Ten Plagues. Find/make and use puppets and props (available for purchase) to engage children – especially those with disabilities – to tell the story of the Exodus from Egypt in a multisensory way. Encourage children of all levels of ability to work together to hide and retrieve the Afikomen, a classic game of hide and seek that can be transformed into a wonderfully inclusive experience. While the Haggadah speaks of Four Sons – Four Children – many commentators highlight the existence of a ‘Fifth Child’: one who isn’t even at the Seder table. Through the generations, we have interpreted this as a directive to engage with those who feel detached or disillusioned and have decided to steer clear of the Seder. But it is important to realize that it can just as easily refer to those who cannot physically make it to the table themselves, and who may have been overlooked because they cannot participate in exactly the same ways. Dov Hirth is the Coordinator of Marketing, Development and Special Projects for ALEH (www.ALEH.org). ALEH is a network of care for individuals with severe complex disabilities and a global voice for disability inclusion and accessibility in Israel. 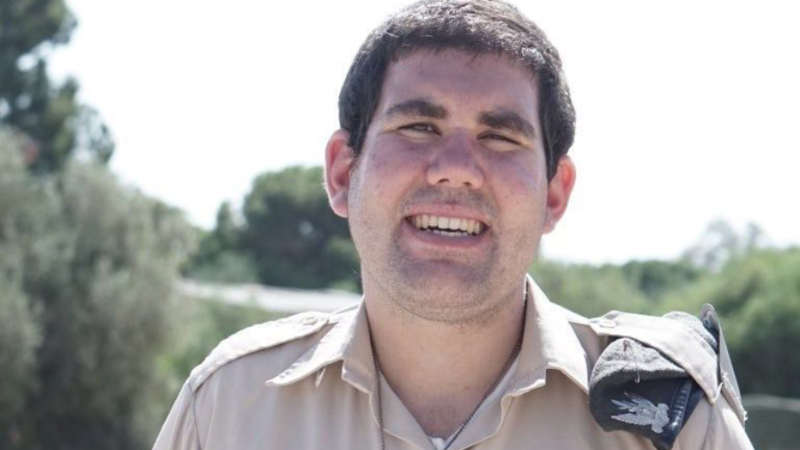 In addition to providing over 750 of Israel’s most vulnerable children with the highest-level medical and rehabilitative care in four residential facilities across the country, ALEH leads the charge for acceptance and inclusion, changing societal attitudes towards individuals with disabilities through experiential education programming, youth leadership and community engagement. 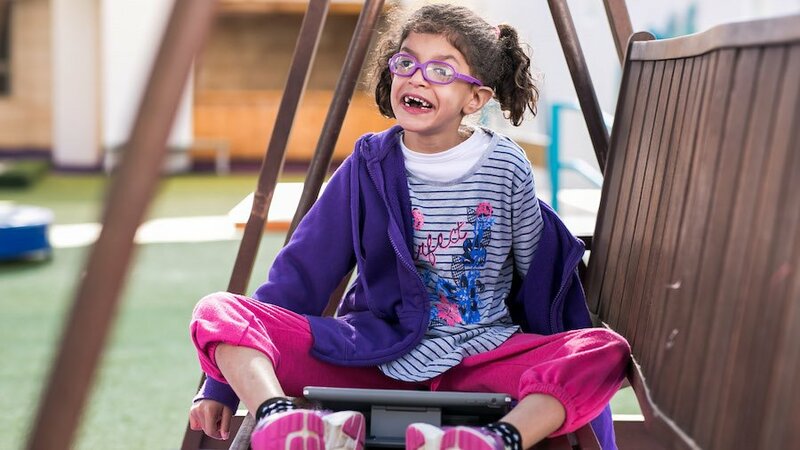 For more than 35 years, ALEH has operated as a global community based on the principles of sensitivity, commitment and kindness, helping children with severe complex disabilities realize their greatest potentials, making a difference in the lives of Israel’s disability community, and building a better, more caring world. At Beit Issie Shapiro, joy is present every day – this is our protest to a world that views disability through the lens of helplessness and suffering. Beit Issie Shapiro, tucked away in Ra’anana, Israel, is a leadingpioneerofinnovative therapies and services toimprovethe lives of people with disabilities,impacting on almost half a million people annually in Israel and worldwide. Beit Issie Shapiro develops new therapies, changes attitudes in society, advocates for better legislation and shares knowledge internationally through its research and training. Judaism taught me that we are all created in the image of God; the disability rights movement has taught me what this means. 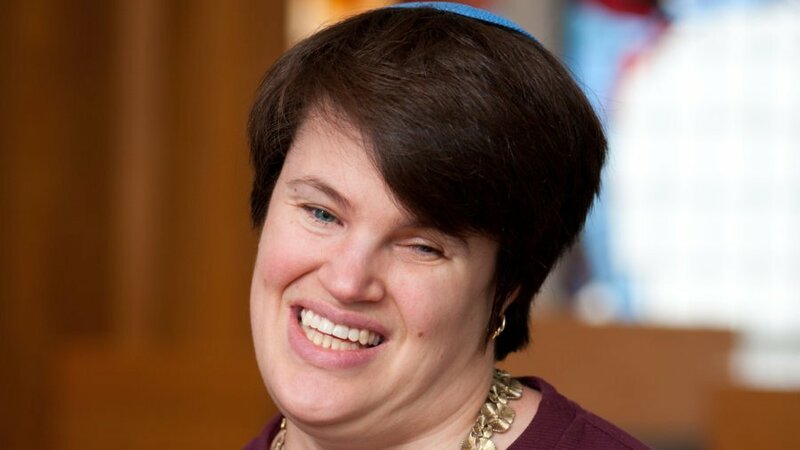 This statement from Rabbi Ruti Regan, an Autistic Conservative Rabbi, has become a personal mantra that defines why disability inclusion is critical to us as a community. At the Jewish Federation of Greater Washington, our mission is to inspire, build, and sustain vibrant Jewish life in a changing world by mobilizing our community in common purpose, intentional innovation, and effective action. Advancing inclusion is one way we give this mission meaning. Guided by the work of Dr. Arielle Silverman, social scientist and creator of Disability Wisdom, I have begun to appreciate the stages that we go through on the journey to advance disability inclusion. This journey marks the transformation from antipathy to passive exclusion to helping as a form of chessed (charity). It involves a growing understanding of individual accommodations and the fundamental right to be included. The somewhat allusive end of this journey is a paradigm shift where inclusion becomes something seamlessly embedded into society. Our actions place us at various stages on the inclusion journey. When we fail to consider who is missing from the communal table or proactively budget to provide accommodations, we slip into passive exclusion. When we reach out to help others, we begin to acknowledge that the image of God is in each of us. This is a complicated journey with steps forward and backwards. Inclusion is not a checklist to complete and move on. As we listen to each other, we discover changing needs that require ongoing introspection and innovation. Advancing this social justice movement requires thoughtful reflection and community leadership. As we learn from disability advocates within our community, we begin understanding the ramifications of ableism, start to challenge the status quo and look for innovative ways to create change. Central agencies, like The Jewish Federation, provide an active space for the discussions and collaborations that enable us to improve our community. At Federation, the Disability Inclusion Network is an open forum dedicated to exploring complex issues with disability self-advocates, community members, and agency professionals. This year, we have had the pleasure of learning from activists like Judy Heumann, Arielle Silverman and Aaron Kaufman. 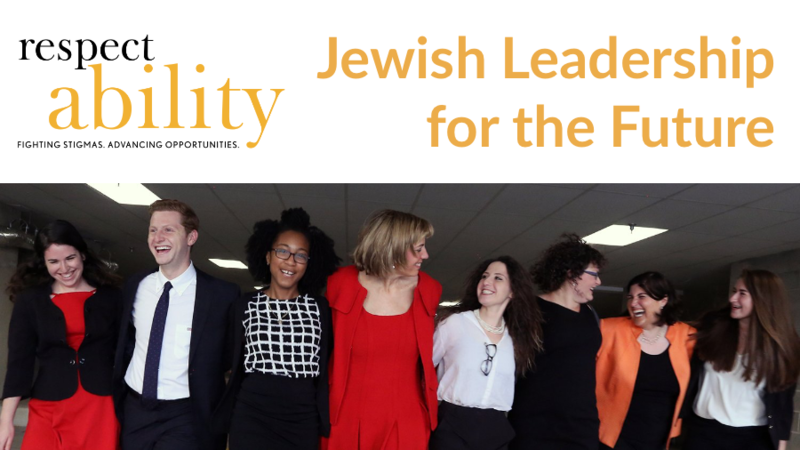 Convening and collaborating is also the focus of the Federation’s Disability Inclusion Synagogue and Employment Working groups. The former inspires participants to recognize where they are in their inclusion journey and identify steps to advance inclusion. The latter helps businesses address their needs by employing individuals with disabilities. The employment group also organizes the annual Road to Independence: A Resource Fair for Young Adults with Disabilities and their Families, which is free and open to the public, and takes place this month on Sunday, March 31st, 1:00 p.m. – 3:30 p.m at The Jewish Federation of Greater Washington (https://shalomdc.org/resourcefair). Additional initiatives to combat stigma include Youth Mental Health First Aid Training and the Ambassador of Inclusion educational curriculum. Resources for advancing inclusion and listings for upcoming events can be found on Federation’s Disability and Inclusion webpage (https://www.shalomdc.org/disabilitiesandinclusion). Advancing disability inclusion is a journey based on Jewish values that encourages us to care for each other and create good in the world. Being inclusive makes our community more open, connected, and vibrant. We can all agree on the value of being inclusive. By working together, we can mean it. Lisa Handelman is the Community Disabilities Inclusion Specialist at The Jewish Federation of Greater Washington. 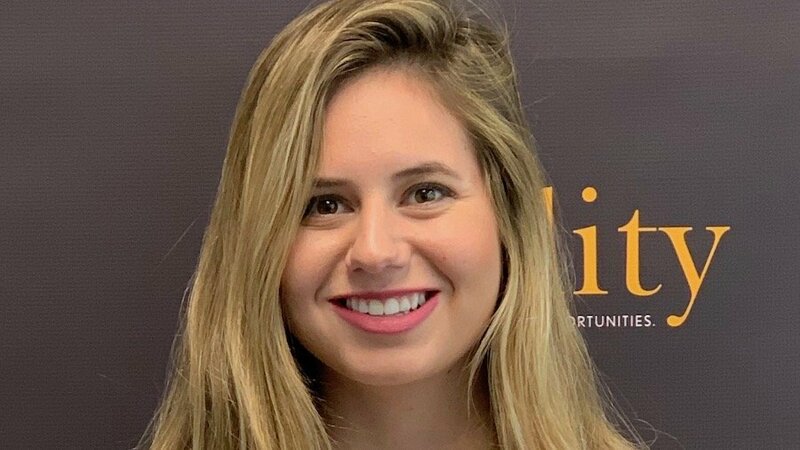 As a community resource and area specialist, Lisa partners with individuals with disabilities, families, and community lay and professional leaders to develop, implement, and monitor opportunities for inclusion of individuals with disabilities into all aspects of Jewish learning and living. 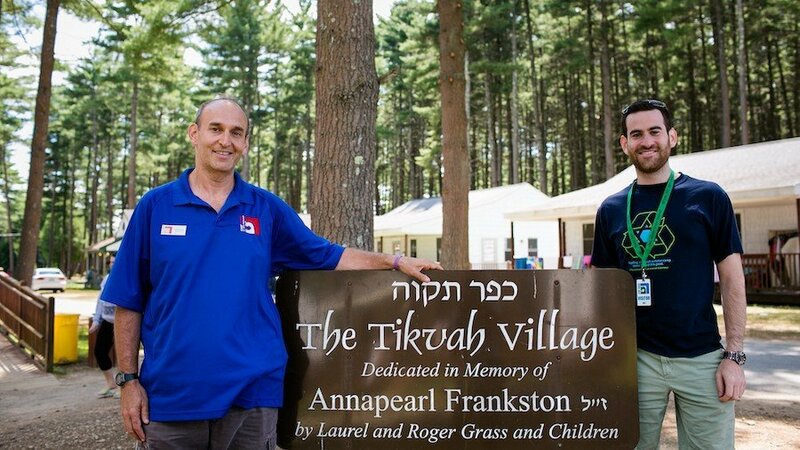 Lisa has worked in Jewish education and inclusion for over 20 years, including leadership roles at the Yeshiva of Greater Washington, SULAM, Charles E. Smith Jewish Day School and Capital Camps & Retreat Center, where she designed and has led the nationally recognized inclusion-based program for the past 15 summers. Cori Ashkenazy was only two-and-a-half-years-old when he and his family made Aliyah, making Israel their new home. 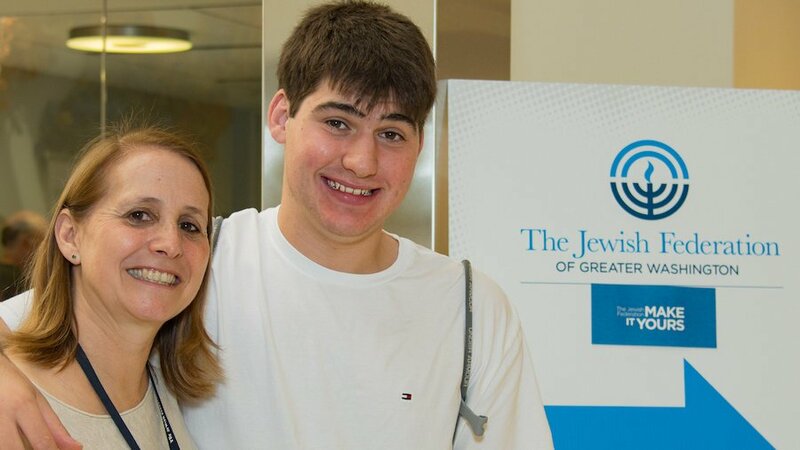 But it was only after their arrival to Israel that his parents became aware that their son was “different” than other kids his age: after a battery of tests and evaluations, Cori was diagnosed with autism. Undiscouraged, Cori’s family invested boundless energy and means to facilitate and support his development and personal advancement. 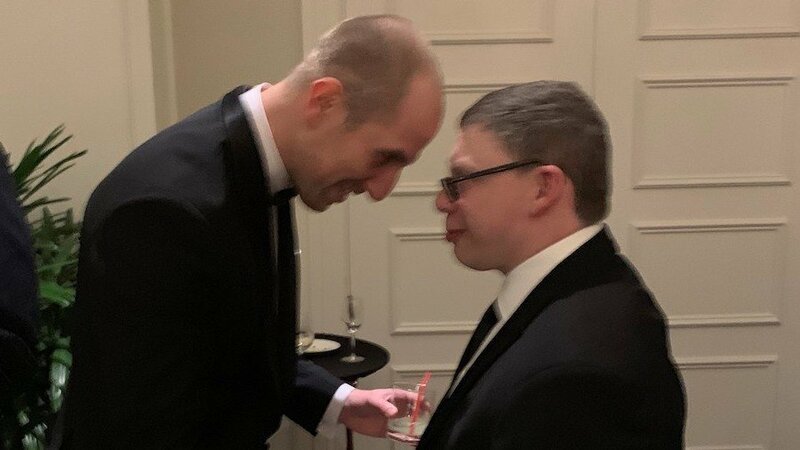 He met regularly with a speech therapist and physiotherapist, who assigned him daily drills and activities to strengthen his hypotonic muscles. To aid in his physical development, any time a new form of therapy was “discovered” or announced, Cori was immediately there to try it, including horseback riding therapy. Overtime, with dedication and patience, Cori overcame his hypotonia. I don’t wear glasses, at least physically speaking. My identity as an American Jew with learning disabilities acts like glasses though. It is as if my disability is a lens teaching me the power of perspective. I can apply my Judaism lens to better understand my disability, and my disability helps me understand Judaism. Together both teach me the true meaning of otherness. 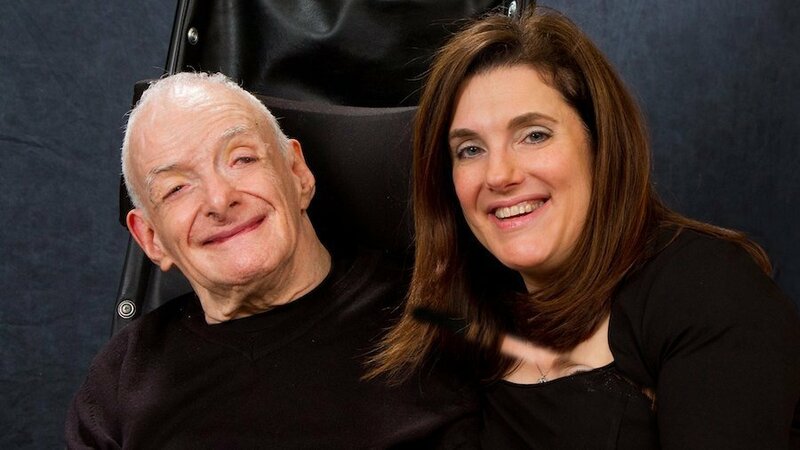 For this week’s Shabbat Smile, we are honored to share the poignant and personal story of disability advocate Guila Franklin Siegel, Associate Director of the Jewish Community Relations Council of Greater Washington (JCRC). In one moment, my father’s dual identities as a nursing home resident and a person living with cerebral palsy crashed head-on. Even at age 82 my father was still vulnerable to receiving inadequate care because of his disability.